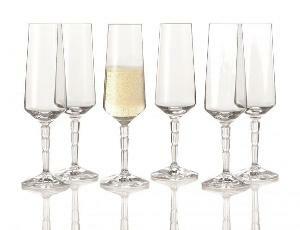 Prize: Drinking champagne should always feel a little elegant, and this Leonardo Spiritii Champagne Flute Glass Set elevates any bottle of bubbly. The set has six lightweight, but sturdy glasses. Each beautiful glass is even dishwasher-friendly! Statistics: This contest was opened by 139 and entered by 4 ContestChest.com members. 3% of those who opened the contest, entered it.